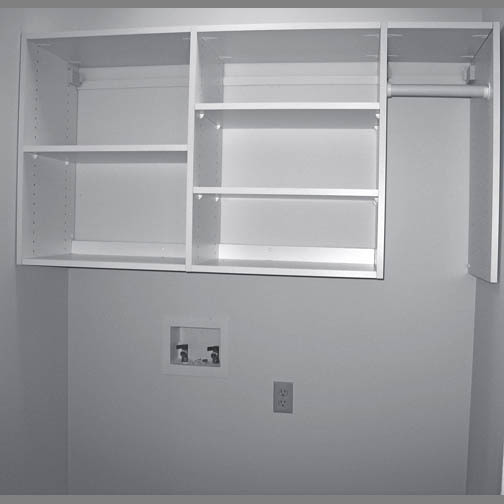 The Closet Works can improve the functionality of your Laundry area. We can add cabinets, open shelves and even a space for hanging. Everything is custom made to fit your needs and space.